President Mark Leppard is a Fellow of the Institute of Sales and Marketing Management and previously employed as the Director of Sales for Ascom UK Limited. Sealed in the London Temple to Jane Patricia Thurlow. Served as a Counselor on Stake Presidencies, as a Bishop and Ward Mission Leader. Former missionary in the Canada Toronto Mission. His wife Sister Jane Leppard, previously a Higher Level Teaching Assistant and formerly a qualified State Registered Nurse and Registered Midwife. 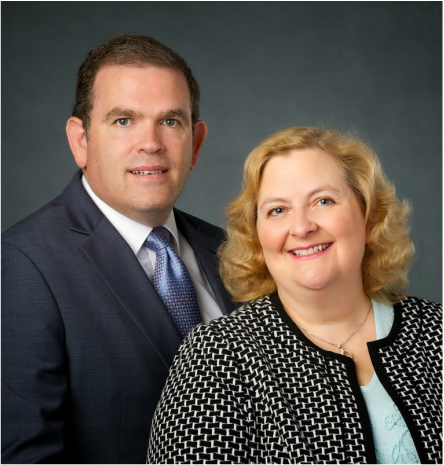 Served as Ward Relief Society President, Counselor on Young Women's and Primary Presidencies, Gospel Doctrine Teacher and Stake Representative for LDS Family Services. They are blessed with 4 children and a growing number of grand children.